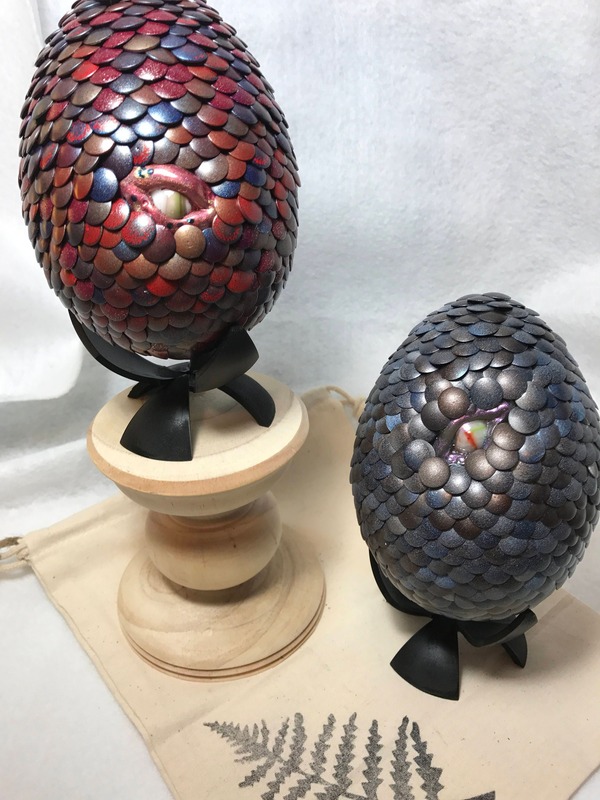 Each egg is just under 6 inches high and roughly 4 inches in diameter. Each one completely unique and carefully packed with a display stand and muslin bag included. These are a custom item and custom orders require more lead time. 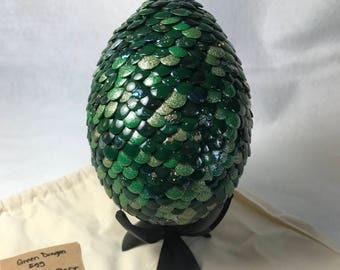 Just let me know what colors you're looking for and I'll make a one of a kind dragon egg with your very own pet dragon peeking out at you. 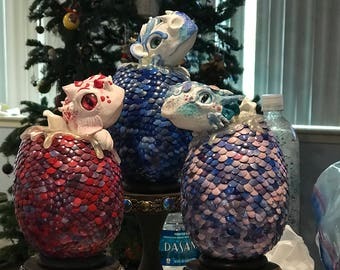 If you are purchasing more than one egg, please message for creation time. 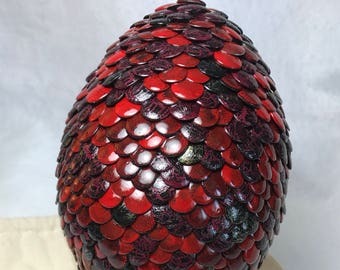 Does not contain real dragons. 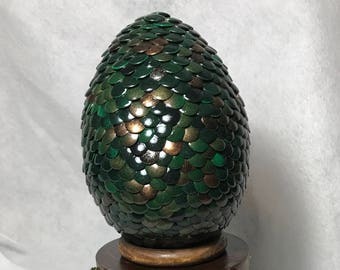 Happy Shopping and valar dohaeris! 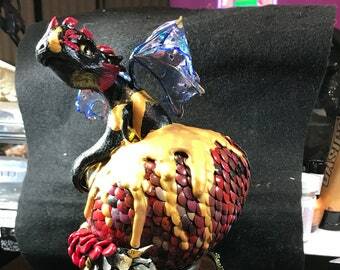 Fae Dragon Egg Keychain - Improved!